Richard Hunt's first model for "Spiral Odyssey." 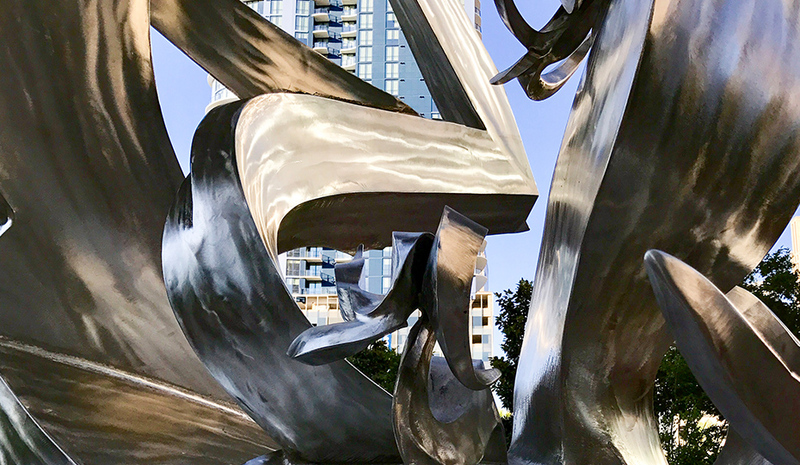 Charlotte’s newest public art – a swirling sculpture to make the city fall in love with a native son all over again – thrusts a gentle steel spear point into the sky above Romare Bearden Park. The name “Spiral Odyssey” is a triple tribute. 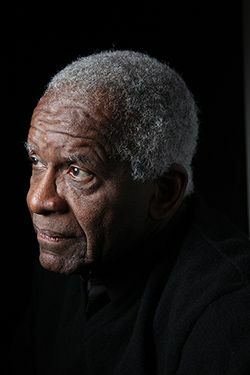 It honors Bearden, the master collage maker who co-founded the New York group Spiral in 1963 to encourage African-American artists. It refers to Homer’s “Odyssey,” which Bearden explored multiple times in his work. 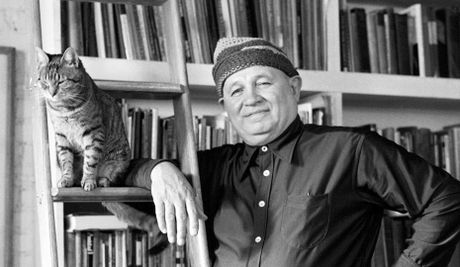 And it hints at the two-decade friendship between Bearden and Chicago sculptor Richard Hunt. The piece can be called abstract, but your mind shapes bits of it into figures: the ship’s body, its billowing sail (or is that a wave? ), perhaps a leaping dolphin. Hunt crafted slender arcs of steel so that light falling on them appears to ripple, like a current passing across water. 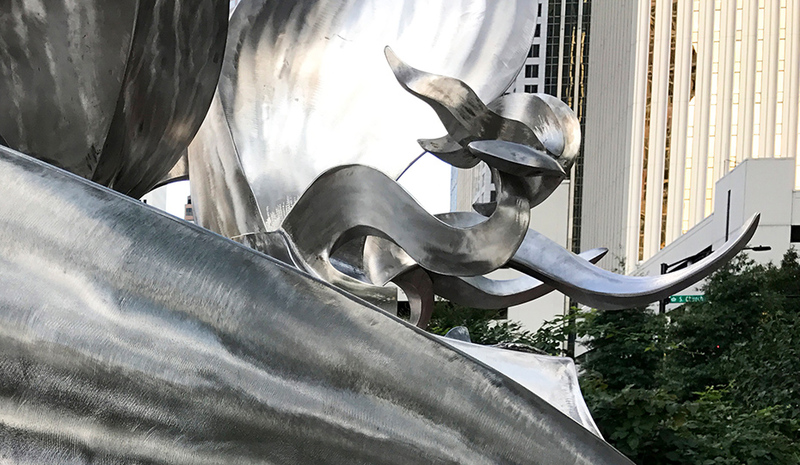 Even then, visitors won’t realize it was originally supposed to have taken a different shape … in a different part of the park … from the hands of a different sculptor. The park is itself a work of art designed by Seattle planner Norie Sato and the local firm LandDesign. The ASC and Mecklenburg County wanted to install a defining centerpiece. 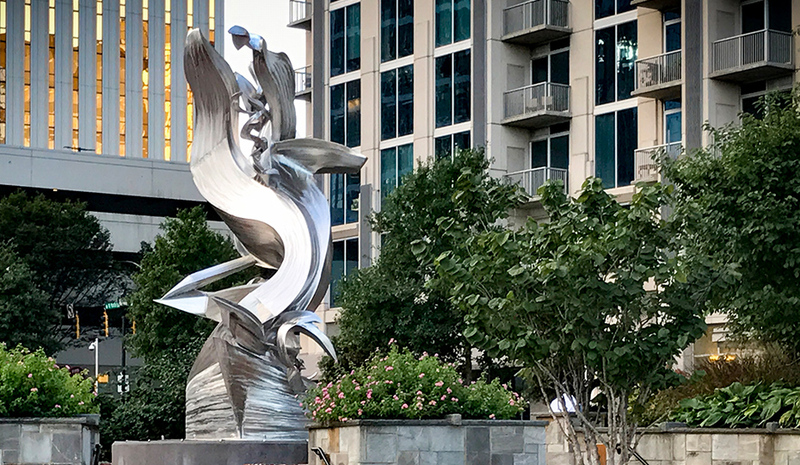 It invited a handful of artists to apply and raised $305,000 from a county fund for public art, Duke Energy, the ASC board of directors and grants from the National Endowment for the Arts and North Carolina Arts Council. A Richmond artist became the front-runner. But “her design was considered a habitable structure: People could go inside it, so it couldn’t be used,” said Carla Hanzal, the ASC’s vice-president of public art. Then a literal stumbling block appeared. The Museum of Modern Art gave Hunt and Bearden concurrent exhibitions in 1971. They’d already met in Pittsburgh in the late 1960s when an International Exhibition at Carnegie Museum of Art showed their work. Both also make immediately accessible art, even when using abstract elements. Charlotte’s public pieces frequently get mocked, though they may later be beloved. 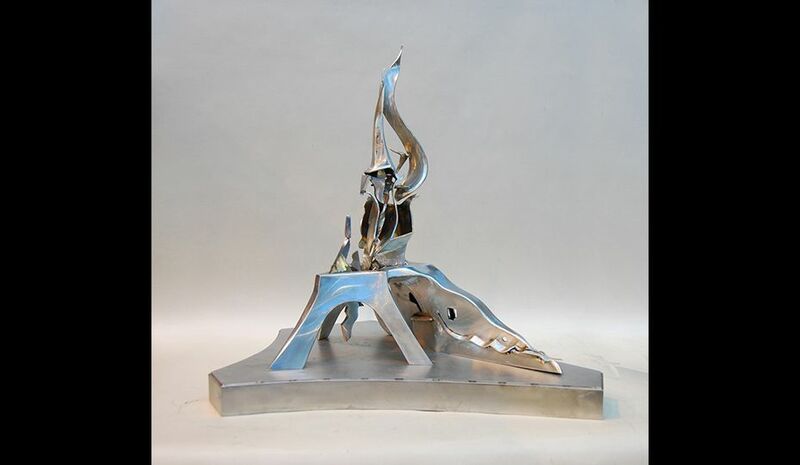 (Think of Niki de Saint Phalle’s “Firebird” on Tryon Street). But “Odyssey” has had clear sailing.